Unilever PLC (UL) operates as a fast-moving consumer goods company in Asia, Africa, Europe, and the Americas. This international dividend achiever has paid dividends since 1937, and has increased dividends for 14 years in a row. The company’s last dividend increase was in June 2012 when the Board of Directors approved an 8% increase in the quarterly distribution to 24.30 eurocents /share. The company’s peer group includes Nestle (NSRGY) and Procter & Gamble (PG). 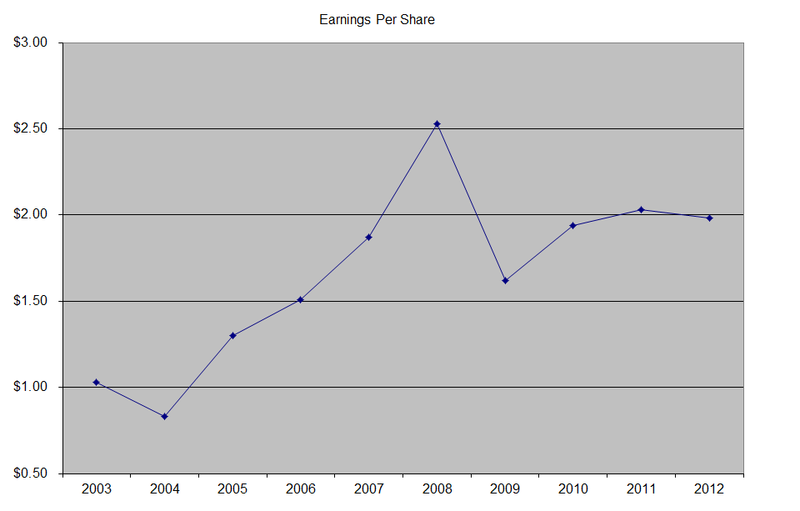 The company has managed to deliver a 7.60% average increase in annual EPS since 2003. Analysts expect Unilever to earn $2.33 per share in 2013 and $2.53 per share in 2014. 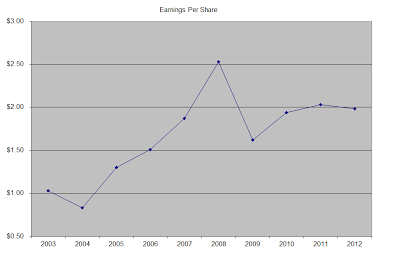 In comparison, the company earned $1.98/share in 2012. Over the next five years, analysts expect EPS to rise by 5.40%/annum. The company is dually listed in the UK and the Netherlands. There are two classes of stock listed for the UK – Unilever PLC (UL) and Unilever N.V. (UN) in the Netherlands. For US investors, the UK traded shares are much more desirable, because the UK does no withhold taxes on dividends. A large share of Unilever’s sales are derived from Emerging markets, where revenue growth is expected to continue at a high single digit to a low double digit rate of increase. The company has also been able to pass on increases in prices of raw materials onto consumers, who purchase its branded products globally. The risk behind this strategy is if Unilever increases prices too rapidly, sales volumes might suffer as a result. Typically however, while the market for food and personal consumer products is highly competitive, demand is stable and relatively immune from economic stress. The company’s strategic plans have revealed that it expects long-term sales growth of 3%- 5% per year. The annual dividend payment in US dollars has increased by 8% per year over the past decade, which is higher than the growth in EPS. Because the dividend is based on a foreign currency, it could fluctuate up or down depending on the exchange rate, even if the board of directors keeps increasing it in local currency. An 8% growth in distributions translates into the dividend payment doubling every nine years on average. If we look at historical data, going as far back as 1988, one would notice that the company has actually managed to double distributions every seven and a half years on average. The dividend payout ratio has remained at 60% over the course of the past decade, with the exception of a few spikes in 2004 and 2006 and a brief decrease below in 2007 and 2008. A lower payout is always a plus, since it leaves room for consistent dividend growth minimizing the impact of short-term fluctuations in earnings. Currently Unilever is fully valued at 20.70 times earnings, yields 3.10% and has a sustainable distribution. 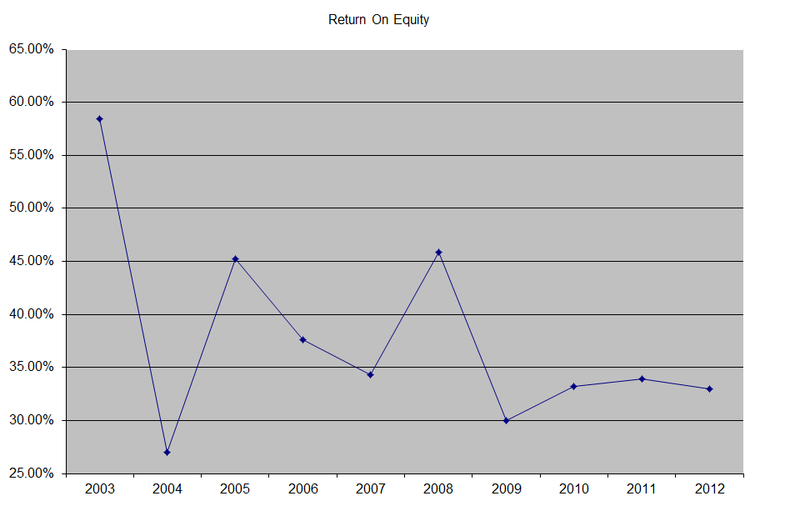 Since the stock is trading above a P/E of 20, I would only consider adding to my position there on weakness in the share price.